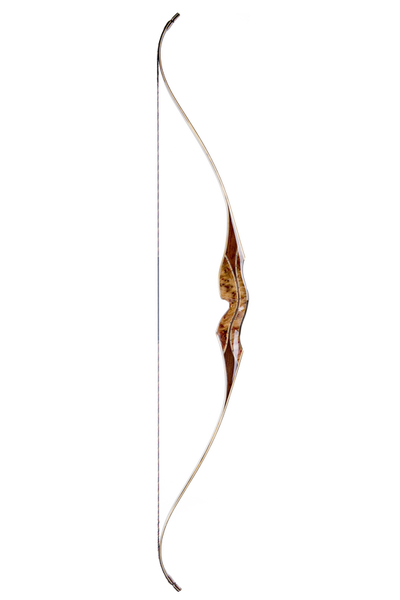 The classic Blacktail One-piece bow features highly figured veneers of your choice applied over a standard tapered and laminated Bamboo core, backed with clear glass for a stunning combination. 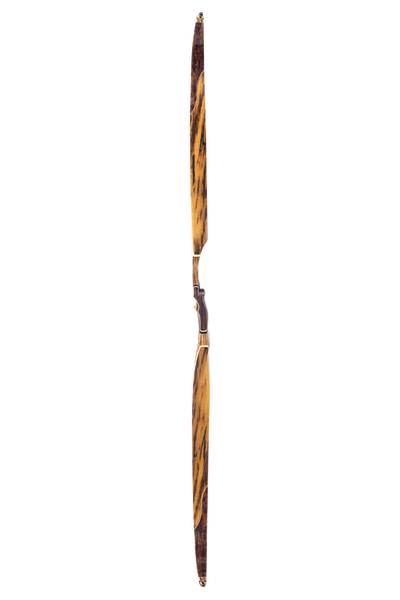 This composite limb system has proven practically indestructible. 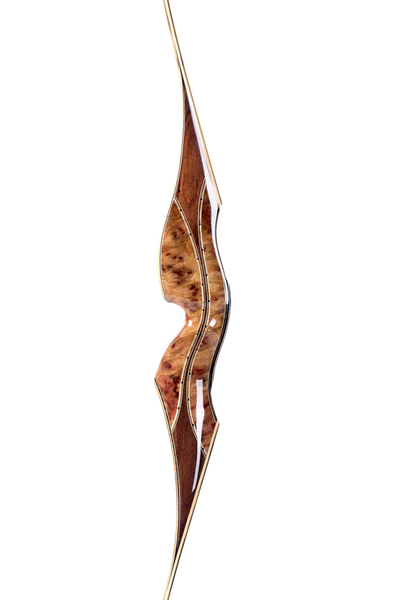 The limb veneers can either match or contrast with your riser selection. 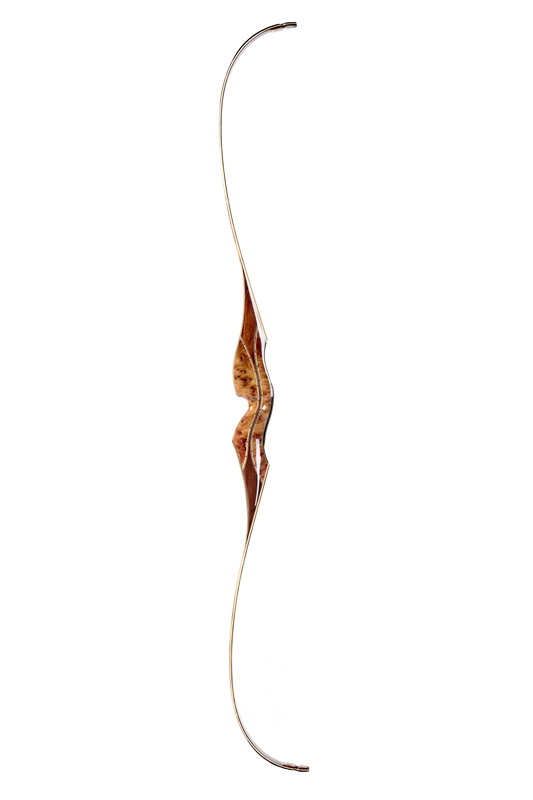 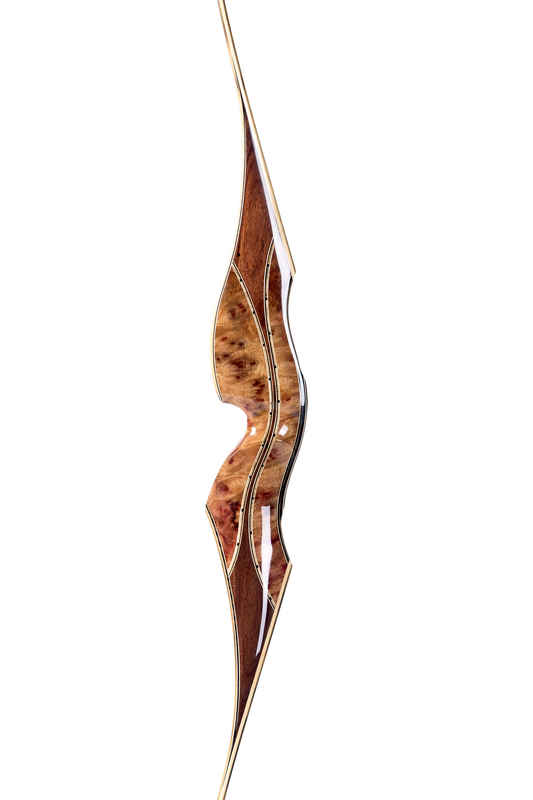 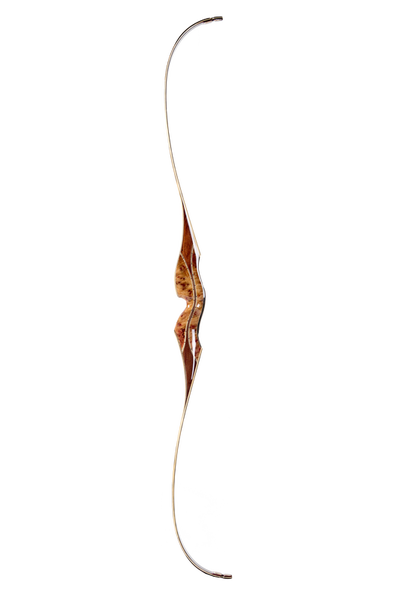 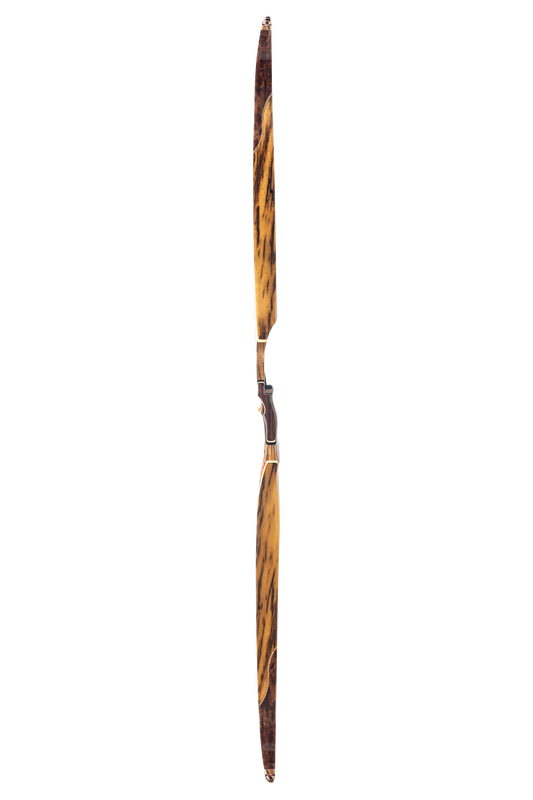 The veneered limb design creates a limb that has better shooting characteristics than a standard 2 tapered core limb. 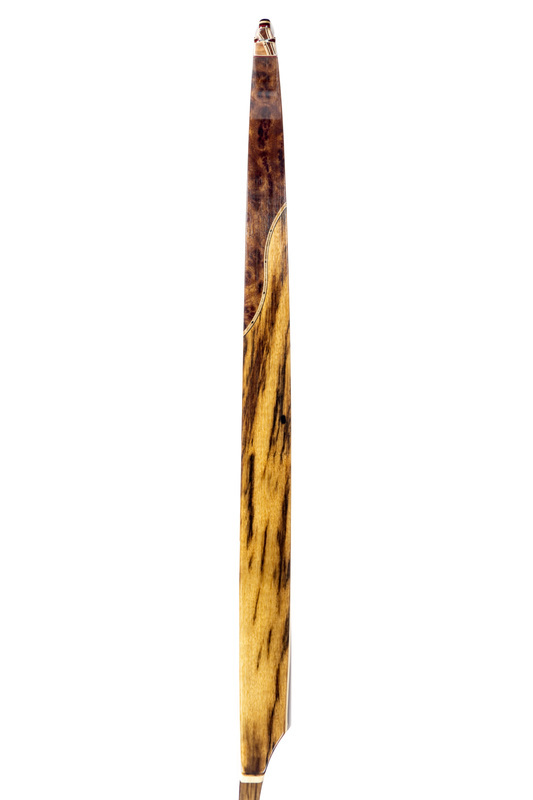 It also allows the use of beautiful woods with high figure and grain patterns that in themselves may not have had the best bending characteristics, physical weight or shooting qualities. 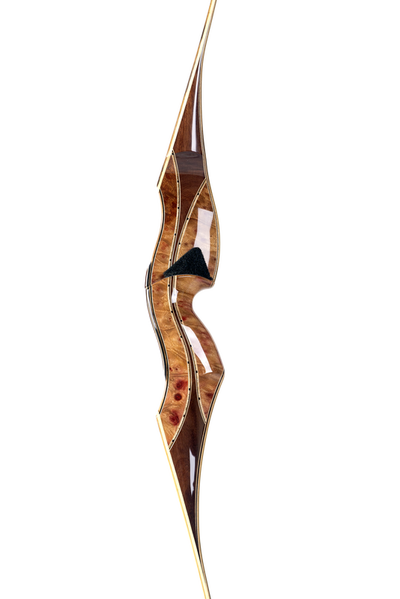 The integrated riser sections are built with a wide selection of premium hand-selected, exotic hardwoods from around the world. 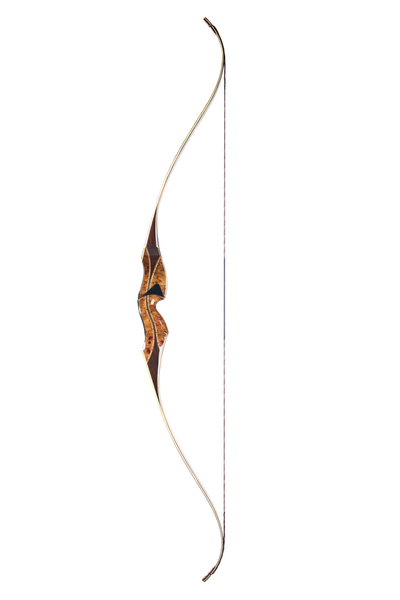 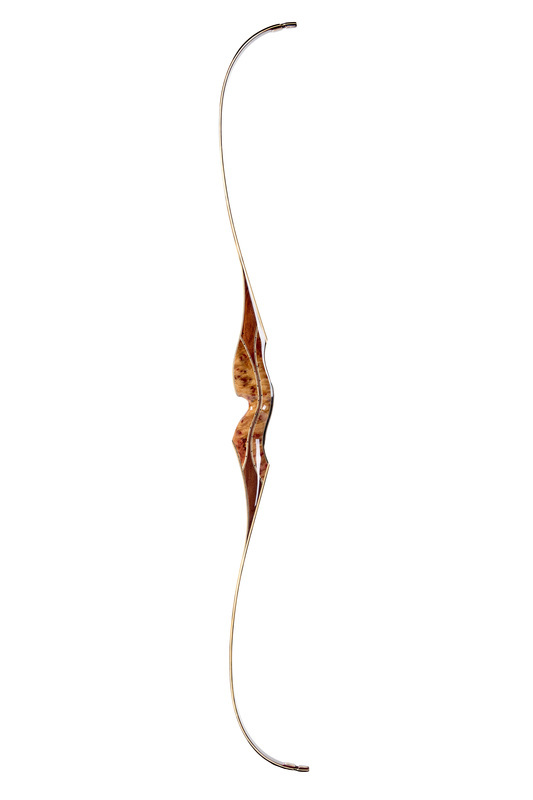 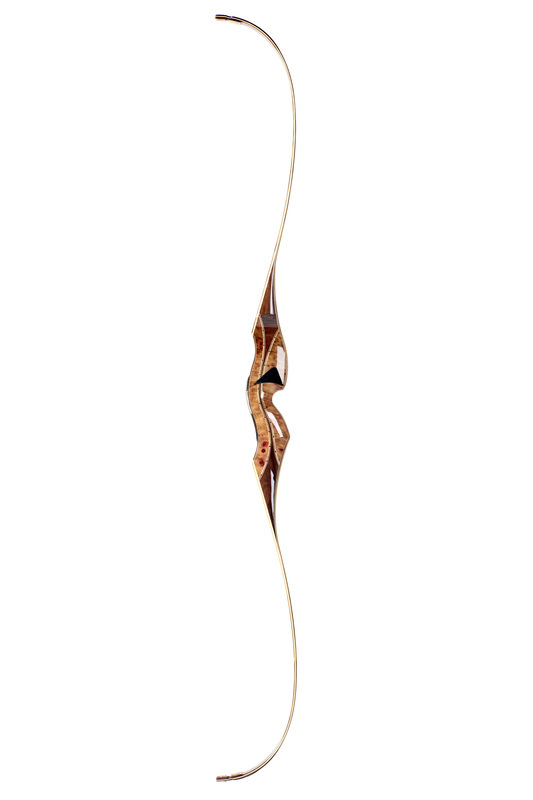 Also available are our T2 Special Edition, Snakebit Series and Legacy Series bows. The following gallery of One-piece bows, represents a small sampling of the wood configurations available for your custom bow. 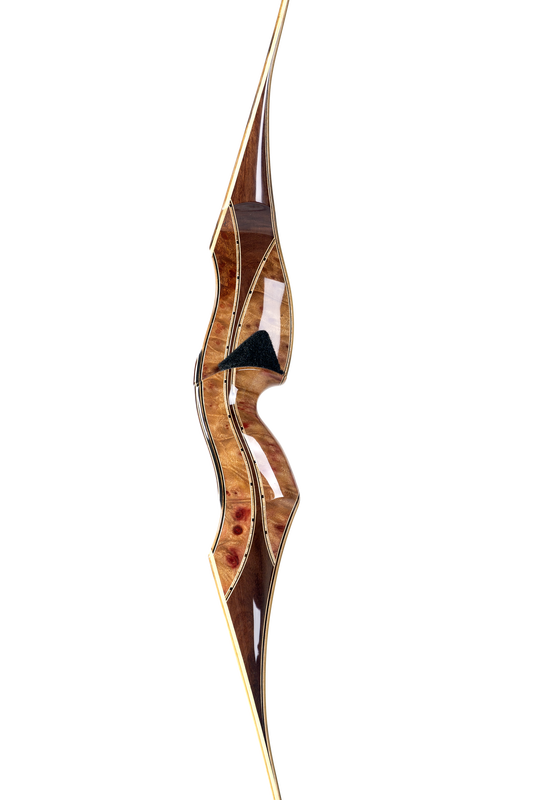 Please note, each piece of wood is one-of-a-kind and unique in terms of it's grain, color hues, tone and contrast. Gallery photos are sample representations of bows previously built for customers and are intended to provide reference for variations among wood species. Click on the thumbnail images below for larger view.